Copiers have a lot of functions, and it is common that not everyone gets to use all of it. Most people are simply not aware of what their copiers are really capable of. 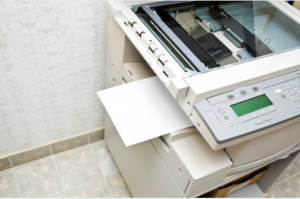 Some just assume that it is only faxing, scanning, copying, and printing, along with some other minor functions that work in their copier machines. Some copier lease dealers do not have the time to fully orient you with every function of the copier you’re leasing from them down to its least expected feature, right? Advanced post-print and scan features. Many modern copiers have document finishing features that are just topnotch. The features may sound basic but are a life-changer in their functionality. Many copiers these days have advanced post-print features such as hole punching, stapling, and folding capabilities for specific fold-requiring uses. Many of us still manually do the mentioned tasks ourselves when all this time, copiers these days are actually already capable of handling those as well. All you really need is sit back at the copier room and wait for almost everything to be done for you. The only thing you need to worry is taking those documents to where they should be. Quite a burden lifted off your workload,right? Copiers these days are capable of recognizing the text in documents scanned on them so that they can be converted into editable files. This is essential for certain document tasks. Also,copiers offer easy access to the office network and other social connections such as email and cloud storages so that your scanned documents are directly sent to where they should be. No need for paper use and couriers delivering them somewhere. Use that wide network range of your copier to its fullest along with its scanning features you may have not known before until just now. turn on your desktop computer just for that in the office, or you may be in a lunch break but in need of a rush print job. You can always use the Wi-Fi direct and other connectivity features of your copier to connect with your smartphone and print your documents straight like that. Systematized copier use inventory courtesy of the copier itself. There are systems or software available for many copiers these days that take charge of your copier use inventory. When installed, this feature can keep track of your patterns of use so that it can be optimized according to your needs and frequency of use. Instead of manually doing the inventory yourself, calculating yield and monitoring the use and functionality of your copier, why not use this feature.You have to as much as possible, lessen the tasks you do at work in order to keep productivity in those fields where you really need the hard work for.